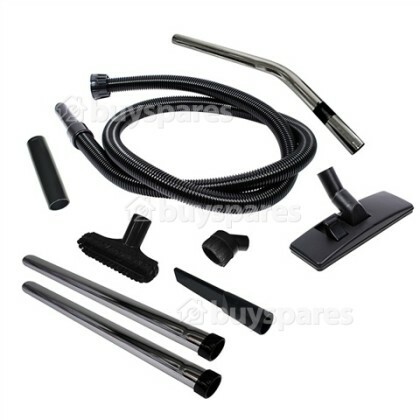 This complete Vacuum Cleaner Tool Kit is ideal for use with your Henry vacuum. It contains everything you need to ensure your Numatic vacuum cleaner is ready to tackle any cleaning challenge; whether that's vacuuming the stairs, hard floors, awkward crevices or even the sofa. As well as Henry models, this 9 piece kit fits most Numatic vacuums with a 32mm fitting including James, Basil, Charles, George, Hetty and Harry models. 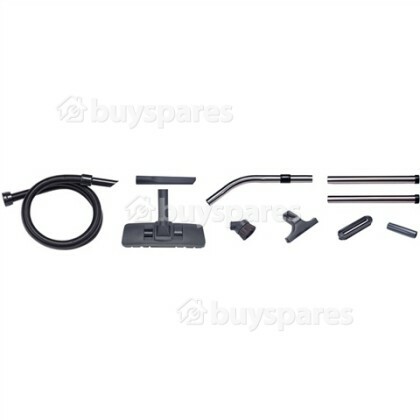 The kit features an upholstery tool, floor tool, dusting brush, 1.8m hose assembly, crevice tool, chrome bent end hose, chrome extension rods and a tool adaptor. Suitable for select models of Numatic and Wellco vacuum cleaners.